Key Difference: B.E. stands for Bachelor of Engineering and B.Tech. 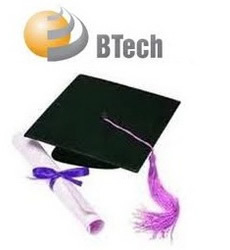 stands for Bachelor of Technology. Both are undergraduate degrees conferred after completion of a three to four year program of engineering studies at a college or university level. The scope and meaning of these degrees may vary from country to country. Generally, B.Tech. focuses more on the technical aspect, whereas B.E. focuses more on the theoretical aspect. B.Tech. is generally conferred in the Commonwealth Nations, the United States, Canada, South Africa, Sri Lanka, Republic of Ireland, India, and elsewhere. B. E. may or may not be accredited by a national professional society. However, in today’s context, they both refer to quite similar types of degrees, and thus it is very difficult to make out any distinction between them. B.Tech. and B.E. have similar types of traits, and thus provide the same scope and future. However, B.Tech. is more focused on the technical aspect of engineering and therefore, provides a practical approach towards the studies. On the other hand, B.E. is more focused on the theoretical aspect providing the in-depth knowledge of the theories. Another difference that occurs between them is regarding the implementation of these engineering degrees by the different countries. On a larger scale, there is not much difference between them. 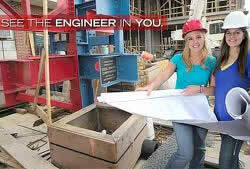 A four year program that is regarded to be more focused on the practical approach of the engineering discipline. A four year program that is regarded to be more focused on the theoretical approach of the engineering discipline. It is a four-year undergraduate university level degree, including Engineering and Applied Science courses, supervised industrial practical training and projects. Bachelor of Engineering Degree is awarded to a student who has completed three to four years course in engineering or Technology and Engineering Technology which consists of eight semesters. Required for practicing as an engineering technologies. Required for practicing as an engineer. Generally offered by Deemed Universities and private colleges. Government engineering colleges. Theoretical knowledge, like principles, equations, and procedures and so on, which are used to develop new equipments, machines and also new inventions in Science and Technology. Practical knowledge, an integration of engineering principles with technology.